Meet silversmith and jewelry designer Laura Wandry. Over the course of earning her B.F.A. in graphic design in the United States, Laura´s studies took her to Mullsjö, Sweden. It was in Mullsjö that she first experienced working with silver. After completing her degree, Laura was employed at an advertising agency in California for four years. It was then that she met her Swedish husband and moved to Sweden. In her 26 years in Sweden, Laura ran a successful graphic design firm, working with both Swedish and American companies. It was in 1992 that Laura’s passion and appreciation for metals was born after taking various silversmithing classes. 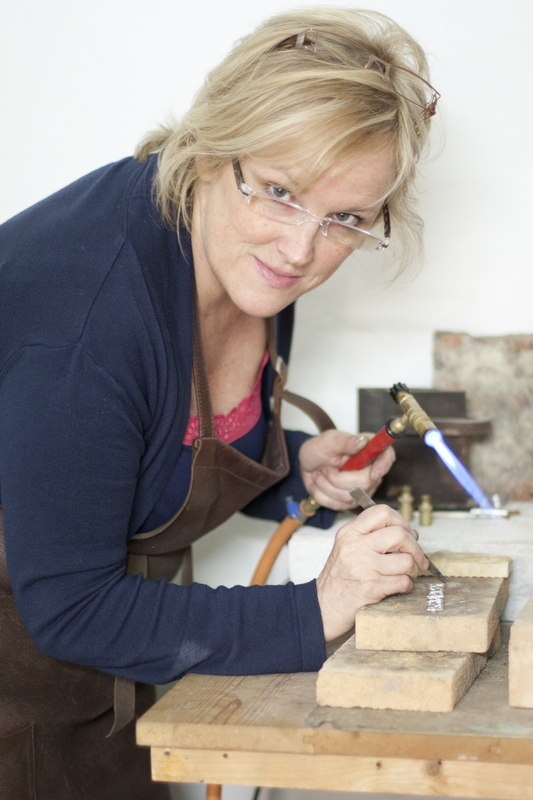 In 2009, Laura and her silversmithing instructor began teaching metal-smithing courses in Tuscany, Italy. During each course, the students not only had the opportunity to design and make their own jewelry, but also were able to take inspirational trips through-out Tuscany, visiting sculpture, silver and goldsmith studios. One such trip led them to Florence, Italy. In 2011, Laura was accepted as a silversmith apprentice in a Swedish handcraft training program, which allowed her to study in both Sweden and Florence. As a professional jewelry designer, she now spends her time between the two countries, utilizing new techniques to enhance her craft. The beauty of Italy continues to provide new inspiration for Laura, which, when teamed with the simple elegance of Scandinavian design and her graphic design background, lend an architectural feel to her collections. In Florence Laura has found a new home where she shares a studio with silversmiths from Italy, France and Slovenia. Don’t miss the next Studio Visit on May 28th with Laura and her studiomates, Tinka Loncar, Chiara Di Filippis. Claudia Romano, and Marilene Beneduce. For more information about Laura and her work, visit her website, or find her on Facebook.